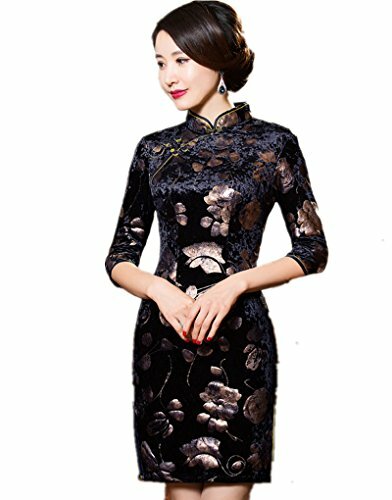 1.The cheongsam is a female dress with distinctive Chinese features and enjoys a growing popularity in the international world of high fashion. 2.Cheongsam make a woman self-confidence, so that women pay more attention to deportment demeanor in public, it will be even more virtuous. Everything sell in the shop is belongs to "Shanghai Story". Shanghai Story is Asian fashion design from most purchase, not only daily, dance, in their daily work can bring you the best of condition,it for all major cities in the world to live in independence, freedom, the pursuit of fashion and quality sensitive design of modern women.it style is public, suitable for most ages and occasions.some fabrics from Asia, both natural fabric clothing, comfort, and easy to clean, maintain good form. For dating, leisure, work, so that women can easily cope with a variety of occasions.